You will love this 3 bedroom and 2 bath home conveniently located in Easton Place! This home was just freshly painted and is waiting for a new owners touch. 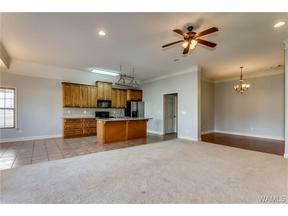 You will love the open kitchen with granite countertops, large island, and spacious bar seating. This home features a large living area with a fireplace, built-in bookcases, and two french doors that allow lots of light to come through that flow to the covered porch. The master bedroom features tray ceilings, walk-in closet, and master on-suite bath. Enjoy a short drive to the interstate access, campus, and shopping. Call today for a private showing!